"Bravo to Susan Groenwald on her outstanding article, A Look Back. She has excellent insight and was one of the few 'to live through it.' My hat is off to her, for the courage to call it as she sees it. I believe she is right on in most all of her observations. I'm sorry to see this talent leave the industry." "Great article by Susan Groenwald. She nailed it!" "(I) read Susan Groenwald's article in the latest issue of BarterNews. Ms. Groenwald, now retired from the industry, owned and operated one of the most successful trade companies in the history of the business. Everyone in the industry should do themselves a favor and read this insightful article." "Congratulations for the last issue of BarterNews. I agree with Susan Groenwald totally—she has correctly described the situation in the barter industry. It is time to work closer together with other barter companies." Bentley Commerce (OTCBB:BLYC) is busily attracting trading partners, several of which were never before involved in the barter industry, to expand their network. Bruce Kamm, Bentley's CEO, explained, "A key component of our strategy is to attract a wide array of trading partners and (in turn) teach them about the benefits of barter." One example is a telecommunications company launching their $129-per-month global flat-rate long distance service. Another new trading partner, Cybertech Marketing , is loading $8.5 million in media buying opportunities into Bentley's Global Trade Marketplace. For more information: www.bentleycommerce.com. 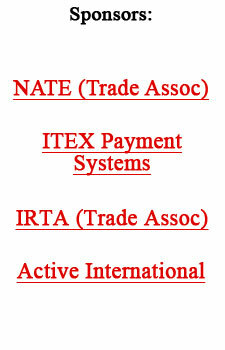 System wide, CEO Steven White proudly reported that ITEX enrolled 275 clients in the past 4-week cycle. International Monetary Systems (OTCBB:INLM) first-quarter financial report (10-QSB) showed a 32% revenue increase over last year, with net revenue of $1,067,201 compared to $810,818 for the same quarter in 2003. The increase was attributed to internal growth of Continental Trade Exchange (CTE) including acquisitions of BarterNet of Brentwood and California Barter Exchange of Salida, both in California. In the first quarter of 2004 the CTE network had net income of $126,762, compared to $51,573 in the same period of 2003, an increase of 146%. During the quarter, non-recurring costs along with charges for investor relations and consulting work associated with the public trading of the company's stock created expenses of $88,606, resulting in a pre-tax profit of $38,156. Deducting an allowance for taxes of $9,539 resulted in first-quarter net income of $28,617 for the parent International Monetary Systems. That compares to a loss of $90,614 for the first quarter of 2003. CEO Don Mardak said, "We are very pleased with our first quarter results. Historically, this has been the least-productive period of each year. So to begin 2004 with an early profit is quite encouraging." International Monetary Systems is holding its annual shareholder meeting on June 23 in Milwaukee. Shareholders will vote to elect two directors, ratify the auditors, and increase the company's authorized capital to 280 million shares of common stock and 20 million shares of series preferred stock. For info: www.internationalmonetary.com. Is Homesourcing The Answer To Outsourcing? David Neeleman, founder and CEO of JetBlue Airways, thinks the answer to outsourcing is "homesourcing." All of the company's 700 reservation agents work from home. Although their wages are more than call-center operators in India and the Philippines, there are other advantages. Neeleman says with home working employees you get more mature people who stay with you...hence less turnover. And they feel better about their jobs, being close to the family, which boosts company productivity. Furthermore, as noted in last week's report, home-based employees mean fewer corporate facilities are needed, so real-estate savings can be significant. In 1997 11.6 million employees of U.S. companies worked from home at least part of the time. Today that number is 23.5 million—16% of the American labor force. Linda Rubendall, BXI area director of Northern Nevada, has spent a productive 17 years in Reno. Now she's moving forward with her expansion into the Las Vegas area. An unusual barter strategy was incorporated by the group of investors who recently acquired the Sears Tower for $840 million. The "winners" in the competition for the building, closed the deal by offering a team of rivals a minority portion if they would drop out of the bidding! More Americans are sticking close to home these days, choosing nearby vacation rentals for holidays and get-aways. And a growing number are buying second homes for enjoyment and as rental investments. David Lereah, chief economist for the National Association of Realtors in Washington (DC), suggests the increases in second-home purchases and vacationers choosing to forgo the expensive European or tropical island trip for a holiday closer to home is attributed to continuing concerns about safety and terrorism. Roger Kubarych, 59, who got his master's in economics from Harvard and is now senior economic adviser at the U.S. arm of the German banking giant HVB Group, says inflation is back and will reach 4% in 2005. He bases his thinking on the Federal Reserve's underestimating the inflationary force of housing costs. Additionally he believes China's surging demand will continue to stoke inflation, aided by recovery in the West. In 2003 China consumed 7% of the world's crude oil, 31% of its coal, 30% of its iron ore, 27% of its steel, 25% of its aluminum, and 40% of its cement—in all cases, a large leap from two years before. The price of oil, even if it recedes from its disturbingly high $40-a-barrel range, is likely to be higher on average over the next decade than itwas in the past 10 years. It will affect travel patterns, and alter the future revenue streams of many companies, i.e. cruise lines, airlines, theme parks, and others. The U.S. population of over 291 million is up 3% since 2000, with he senior population hitting 36 million. Nevada, which leads the nation in most population-growth categories, is also tops among the 65-and-over crowd which increased 15% there between 2000 and 2003.